A guardianship bond is when a court appoints a person (the guardian) to take care of the affairs of another person (known as the ward). The guardian is entrusted with taking care of the ward’s personal and financial affairs. Sadly, this does not always happen. One sometimes hears of cases where a guardian abuses their power at the detriment to the ward. A guardianship bond is usually a requirement when the court determines guardianship. Although each guardianship bond varies it is an invaluable reassurance to the family of the ward. It helps to deter those who may seek to be a guardian for their own financial benefit. A guardianship bond acts as a form of assurance that the guardian will fulfill their lawful duties in the best interest of the ward. 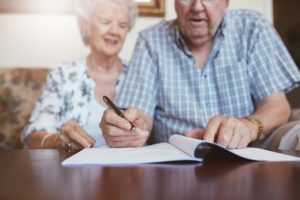 Like other surety bonds, a guardianship bond is a three party contract between the courts, the guardian and the surety. If a ward suffers at the hands of the guardian, the guardianship bond will cover the damages and then will demand compensation from the guardian to recoup the surety’s money. 1. Incompetence: Being a guardian can be overwhelming. Although the courts look to appoint a competent guardian, there are times when there aren’t sufficient instructions for the guardian as to what determines adequate care. Although not done intentionally, the guardian can still harm the ward’s best interests through their own incompetence. 2. Exploitation: This refers to when a guardian knowingly looks to harm a ward, and exploit them for their own benefit. It ranges from exploiting the ward’s name to manipulating the circumstances so that the ward provides sensitive information (usually with the goal of obtaining full access to the ward’s finances). 3. Manipulation or Undue Influence: The guardian may ask the ward to authorize a financial transaction or alter a will, without the ward fully understanding what the outcome will be. 4. Intimidation and Coercion: This situation involves more aggressive tactics. The guardian may force the ward to write checks or give out financial passwords. In the worst cases, the intimidation and coercion turns violent. 5. Elder Abuse: Elder abuse can range from exploitation to intimidation and coercion, and even physical violence. In our day and age, families are more mobile and move out of state. In these cases, a guardian is vital in providing care for those who are not able to do so themselves. A guardianship bond is a safety measure to ensure that the ward’s best interests are upheld. • A guardianship bond, like other surety bonds, is a three party contract between the courts, the guardian and the surety. • Guardianship bond contracts can vary from case to case. Often times, there are no clear directions, (when no bond is present) as to what the court expects of the guardian. • If the guardian is found to be incompetent, using means of exploitation, coercion, intimidation or manipulation, exacting undue influence or abusing the ward, a guardianship bond will ensure that any financial hardship incurred due to the guardian’s actions, will be reimbursed to the ward. • If the guardian is in violation of the guardianship bond, the surety company will seek compensation from the guardian. Posted in Guardianship Bond, Surety Bond and tagged Guardianship Bond, surety bond.